When I find something that I love, I usually get obsessed with it... It's true, I do! I recently got a new cammy & have become obsessed with this, too! Okay, not obsessed, infatuated! I've been taking it everywhere with me & trying to snap pictures of everything! Since this, I've noticed "camera things" poping up all over the place now! Have you ever noticed something, or learned about something & then you see it all over the place afterwards... ? Yeah, exactly. Anyways, I've been coming across all sorts of cute camera things lately I thought I woud share what I've been bookmaring and making mental notes of lately! 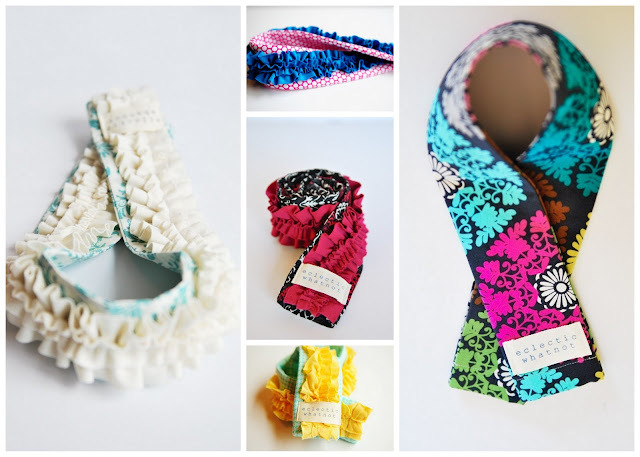 I love these cute, girly, frilly, ruffled & whimsical camera straps that Ruthanne makes. They are bright, bold & very colorful; which is totally my style! 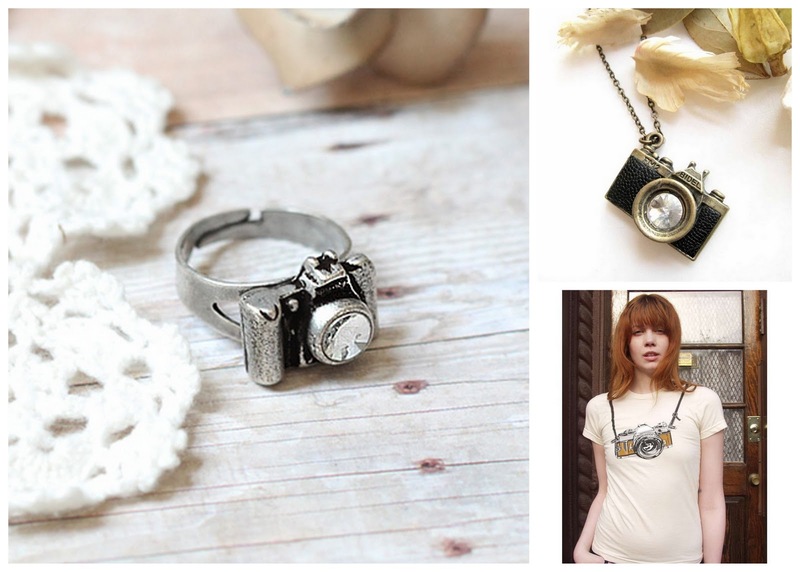 I love, love, LOVE these vintage inspired camera straps. They remind me of the camera strap that my parents had on their old AE-1 growing up. Theirs was straight out of the 70's, but I'm kinda liking this modern take on the original. 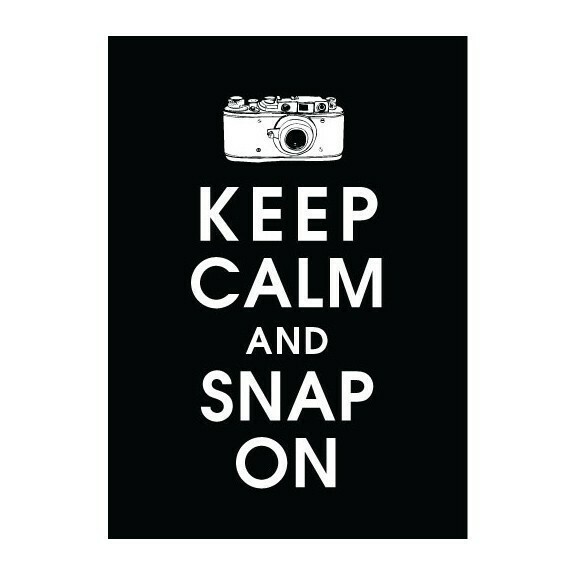 Great collection of camera- and photography-inspired items! I particularly love the vintage-inspired camera straps! 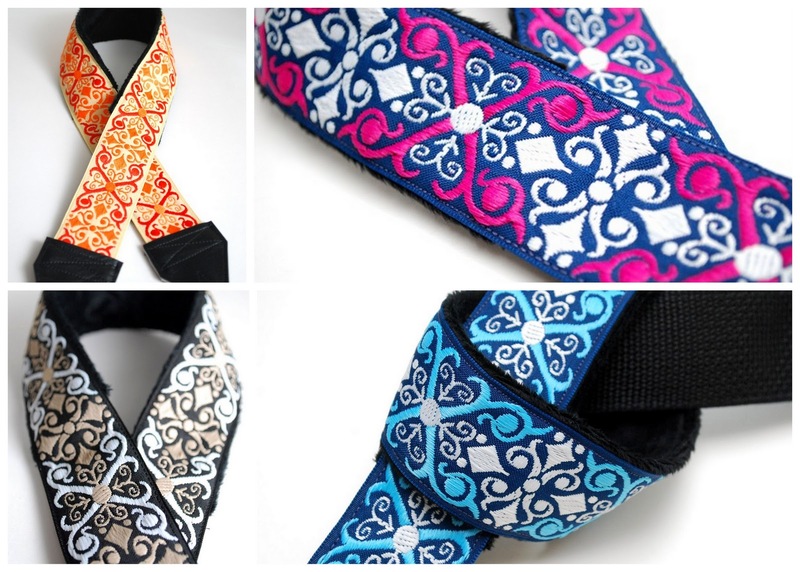 They remind me of some great guitar straps I've seen too!